Do we beat up on ourselves, or do we let it go? Do we feel guilty or do we get curious about how we could handle it better next time? 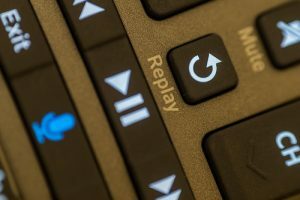 Do we replay it in our mind and cringe or do we upgrade the replay and visualize ourselves doing better? One of those paths is useful. The other is not. I write these Daily Doses because I know that my content does make a difference and helps people live better lives. So, if you know someone who would benefit from today’s thoughts, please pass this on. Thanks and gratitude in advance!